The Belgian born gypsy guitarist Django Reinhardt has long been a legendary figure, founding father of today's "Gypsy Jazz" movement. The pioneer American Joe Venuti / Eddie Lang violin and guitar "chamber jazz" style as their jumping off point to produce a very distinctive style of their own. 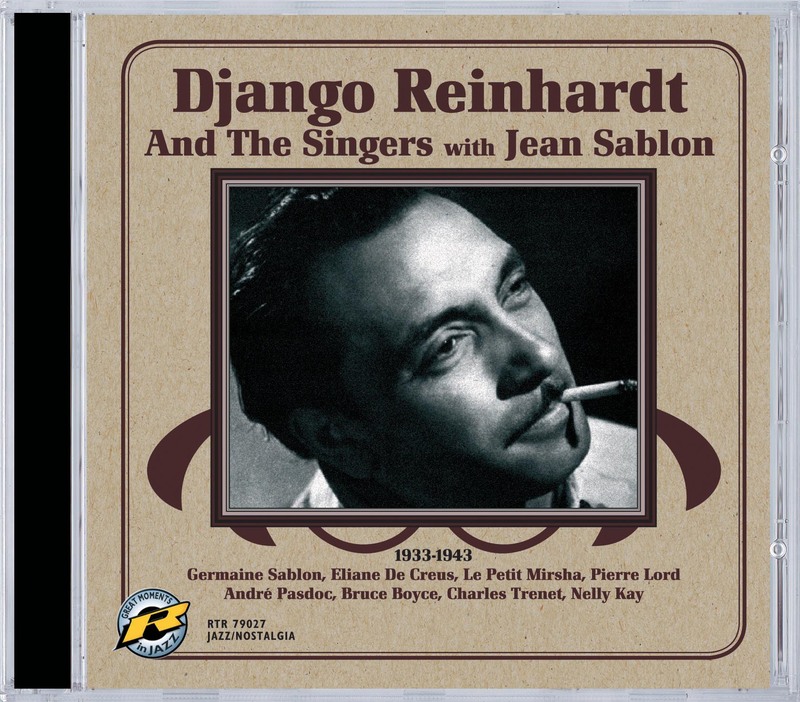 Django was a prolific recorder, largely with the Quintet of the Hot Club of Trance, but this very intriguing CD showcases him in the less usual role of accompanist to various popular French vocalists - particulary Jean Sablon, who was regarded as France's answer to Bing Crosby. The resulting music has great charm and much of it is very rare in it's original form. A must for any Django fan.